Want to Start a Career in Broadcast Journalism? Disabled people are the most under-represented minority group in broadcasting, according to a provisional report by Diamond, a project set up by the major broadcasters to monitor diversity in the industry. This is why, as members of the ITV West Country Diversity Panel, we would like to strongly encourage our members and any other Disabled people who are interested in a career in broadcast journalism to enter ITV’s Breaking into News competition. Representation matters; we need Disabled people in the media to tell our stories and highlight the issues that we face. The video below is from one of last year’s winners, Steven Portman, reporting on the barriers Disabled people face when looking for employment. If you have been dreaming of a career in broadcast journalism and you would like to report on the issues that matter to you, apply here by Friday 5 April 2019. BCC want you to tell them about your ideas or suggestions for your library and its building. They are looking for opportunities for community-led activities and partnerships to create a library service for the future. Ideas could include extending the service and use of buildings while also looking at the wider needs of the local community. These can be small ideas that could be started quickly, as well as bigger ideas which will make a significant difference to how a library service is provided in the future. Are you interested in becoming part of the Bristol’s Citizen Panel? The panel has been running for over 20 years but BCC need to add new members! It’s an online Panel where residents of Bristol are asked about their views and opinions on a wide range of issues. You will be asked to complete surveys up to 4 times a year and can leave the Panel at any time you choose. Do you live in Westbury or use the A4018 on a regular basis? Take part in BCC’s consultation on proposed changes to the A4108 (Also known as Wyck Beck Road, Passage Road, Falcondale Road, and Westbury Road). The A4018 is one of the most important routes into central Bristol; therefore it can be very congested throughout the day. Proposed developments to the Filton Airfield site will also increase the number of people travelling via the A4018 over the next few years. BCC have proposed several changes to improve current levels of congestion and meet the growing demand on the A4018. You can give your feedback on these changes by filling in the survey below. If you want to talk to us about the A4018, you can attend a drop-in session on 23 and 27 February or 4 March. Times and revised venues for the drop-in sessions and more information on the proposed changes is available by clicking the link below. Families forced into home educating their disabled children because of the lack of support from mainstream schools are among parents who are being “scapegoated” by the children’s commissioner, according to a disabled mum and campaigner. Anne Longfield, the children’s commissioner for England, published a report last week that calls for action to address the lack of knowledge about the standard of education and safety of the tens of thousands of children currently being home educated. Research by Channel 4’s Dispatches, for a documentary presented by Longfield (pictured) last week, found that 22 per cent of children withdrawn from school to be home educated in 2017-18 had special educational needs (SEN). The Arts Council has admitted that only two per cent of its directors – and just three per cent of its managers – are disabled people, despite having achieved “Disability Confident Employer” status under the government’s discredited disability employment scheme. Arts Council England (ACE) has now become the latest employer to achieve the top two levels of the Disability Confident scheme – including government departments such as the Department for Work and Pensions – despite their own troubling records on disability employment. The figures came in ACE’s fourth annual diversity report , which showed figures for 2017-18. A disabled MP has spoken of her pride at being able to speak openly about being dyspraxic, after having to hide her diagnosis from employers for years before she entered parliament. Emma Lewell-Buck (pictured) was previously a social worker but was “acutely aware that if there were any job cuts that would come around, it would be used against me and I would be the first one in the dole queue”. She said she used to take work home with her at weekends, work late into the evening and start early in the morning because, like many other disabled people, she felt she had to “go the extra mile” and “work that little bit harder to prove yourself or keep up”. The launch of a new user-led political organisation is set to be a “landmark event” for neurodivergent people in the Labour party. After three years of lobbying, discussions and consultation, disabled party members launched Neurodivergent Labour in central London on Saturday. Janine Booth, co-chair of the TUC disabled workers’ committee, who played a key role in its formation, told the launch event it would be “a milestone in the fight for acceptance, rights and equality for autistic, dyslexic, dyspraxic and otherwise neurodivergent people through the Labour party”. Disabled activists and shadow ministers at a parliamentary meeting have been told of ways they could help to reduce the appalling damage caused by the government’s hated “fitness for work” assessment and other social security cuts and reforms. Academics, researchers, politicians and campaigners spoke at yesterday’s (Thursday’s) meeting (pictured), which was hosted and organised by Labour’s shadow chancellor John McDonnell as part of a lobby of parliament. The First Do No Harm lobby focused on the continuing refusal of ministers to ensure that sufficient medical evidence is gathered before decisions are made on claims for out-of-work disability benefits, particularly for people with mental distress. Ministers are refusing to release information that would show what extra plans – if any – the Department of Health and Social Care (DHSC) has put in place to deal with an adult social care recruitment crisis in the event of a “no deal Brexit”. With just 43 days until Britain faces the possibility of leaving the European Union without a deal in place, DHSC claimed that “premature” release of the information could put at risk “effective policy formulation and development regarding our exit from the EU”. Instead of releasing its records, it has pointed to “high level” plans published just before Christmas, but they suggest that ministers have no plans in place to deal with an adult social care recruitment crisis. 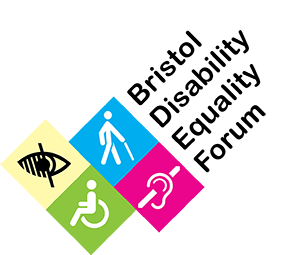 The Thomas Pocklington Trust are launching the brand-new Bristol Sight Loss Council following the success of other Sight Loss Councils across the country. The Trust believe blind and partially sighted people are best suited to work with organisations to enable them to better understand the needs and improve the lives of people with sight loss. Are you the kind of person the Bristol Sight Loss Council is looking for?